Easing ailments with the use of ingredients found in your kitchen is a great way to promote natural healing as well as to save money. Onion is probably one item you have in your cupboards. However, you may not have thought it to be used against itchiness, earaches, and colds. Onion contains quercetin which is considered as a super-powered antioxidant. With springtime in the air, mosquitoes and itchy bug bites are all major pain! They are more likely knocking on your door. By rubbing a sliced onion on the sides of the bite, you can ditch the itchiness. Thanks to the onion’s sulfur content that relieves the itchiness. The natural pain reliever might just be right at your fingertips if you accidentally burn your finger or any part of your skin while cooking. Due to its antiseptic properties, onion help eases the sting. It can help the skin in promoting quick healing and keeping it from being infected. For several weeks, apply an onion juice a few times per day to reduce scarring. Do you want to ditch flu and cold symptoms faster? This is how: while you sleep on your bed, set on a plate next to you a chopped onion. In this way, you will be able to inhale the onion’s vapor and ease flu and cold symptoms while sleeping. The vapors bringing your eye to tears can help break up mucus buildup. You can also mix onion juice with honey to make a syrup for cough remedy. Earaches are one of the worst. 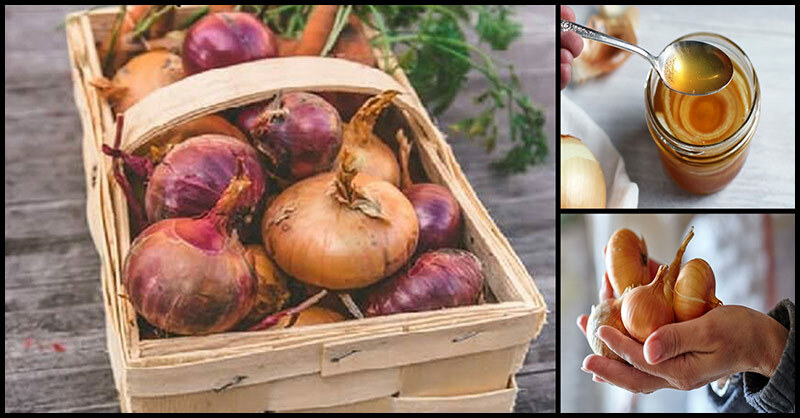 Though there is no scientific evidence that onions can work on it, a lot of testimonials prove that it’s really effective. Just bake an onion at 450 degrees for 15 minutes. Remove it and let it cool. Cut it in half and juice it. Stray particles must be strained out. Then, place a few drops of the liquid into the sore ear. It’s really frustrating to have a stuffy nose. It can be painful at times. It can also be accompanied by pressure on sinuses. You can alleviate the pain by inhaling the vapor of a chopped onion. But be warned that in the course of declogging your sniffer, you may shed a few tears. Make sure to head to the kitchen first instead of the medicine cabinet the next time you have a minor ailment.